Then there are my two lovely children. I’d love to work on sweaters for them, but I still have at least 3 more gifts to knit up. I’m trying to figure out how long my hubby’s socks will take. 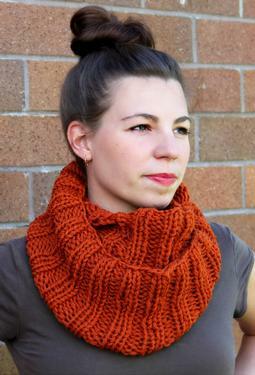 They’re DK weight, and I’m knitting them on US6’s, so they should (in theory) go quickly. In about an hour, I’ve completed the cuff on the first sock. That’s 2 inches, including the cast on. That’s a pretty quick knit. I was reading the Yarn Harlot’s blog from 2006 where she started knitting a sock a day. In reading that blog post again, I realize that I’m sure I can fit in a few basic socks between now and Christmas. Maybe the kids will get socks as well. I might, just might, be able to squeeze in 5 pairs of socks, a cowl, and a scarf before Christmas. This includes cleaning the house, prepping menus and food, Thanksgiving, and decorating. I’m making great strides, even while working. I take every opportunity to knit on a gift and I’ve put my sweater(s) on hold. Gemini will be on hold, as well as the Owls sweater that I finally got the yarn for…and several other sweaters. Gemini right now is kind of at a “boring” part – it’s all stockinette stitch until the increases. I’ve also decided to make longer sleeves, knowing full well I’ll have to decrease since they are designed to be fuller cap sleeves. I’m not too worried about it right now. Right now, it’s all about the Christmas Gifting. Honestly I would make hats for the men you are not sure about. I always advocate the knitting of more socks. Interesting idea - my brother would wear one, depending on the style, and my FIL actually wants one particular hat for hunting. Maybe I should make both of them something warm to wear up top, but I was considering DK weight socks for both, as my brother loves the one pair he has, and my FIL is always cold.